Valley Roofing Installs and Maintains Your Gutters! Gutters Protect Your Home’s Structure From Water Damage. 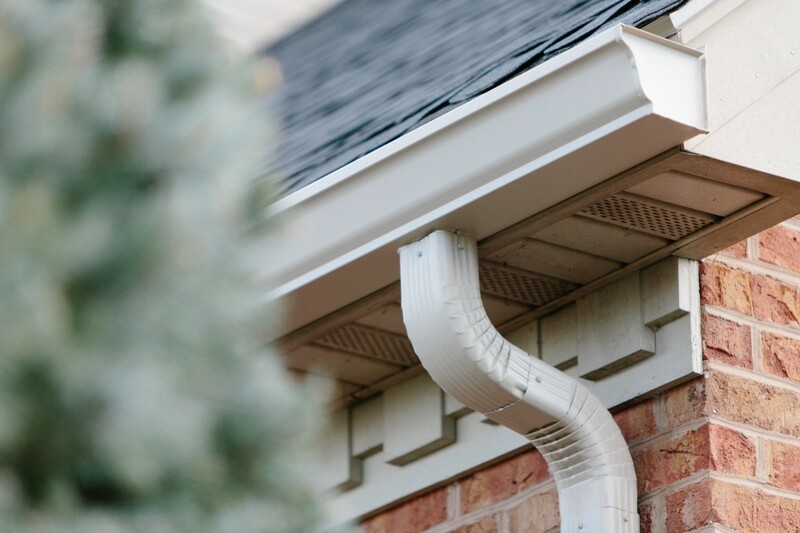 Rain gutters may not receive a lot of attention, but they do a very important job and protect your home’s structural integrity. Gutters, properly installed and regularly cleaned, route precipitation runoff away from your home, and keep it from running under your house where it could undermine foundation walls or seep into living spaces. 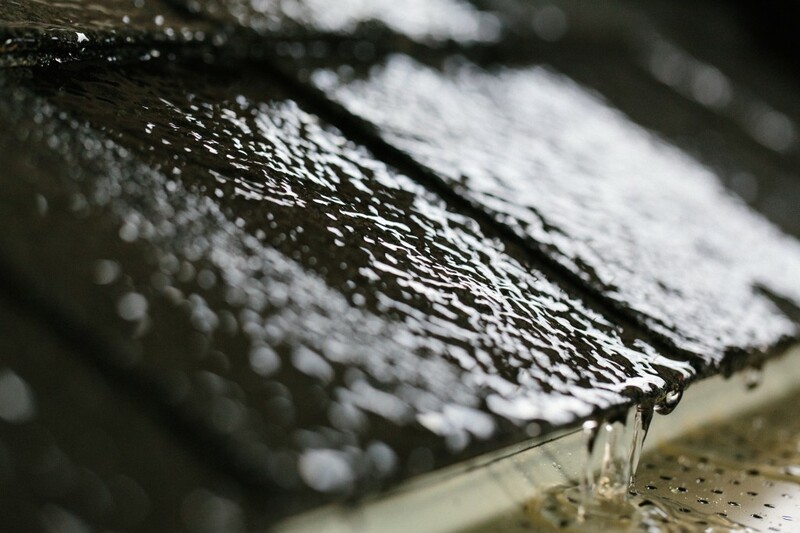 We’ll look at your roof’s runoff requirements and give you an accurate assessment of the necessary gutter size and downspouts you need to adequately carry the water away from your building structure. Our Experienced Installers Do the Job Right. At Valley Roofing, we have a team of experienced professionals that properly install the guttering products we offer. We focus on attention to detail to ensure that your new gutters look professional and provide years of maintenance-free service. 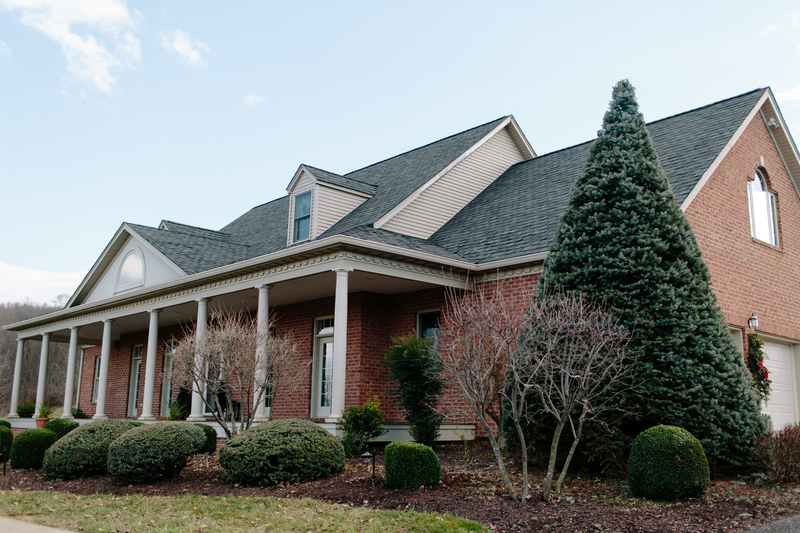 Valley Roofing offers complete gutter systems, repairs and leaf-guard protection systems. Most gutters fail due to weak hanging brackets or nails, and thin, cheap gutter material. All aluminum gutters installed by Valley Roofing are made of thick .032 aluminum, and we use the industry’s strongest bracket, the Hang-Fast gutter hanger. Our gutters are strong enough to withstand typical snow and ice. 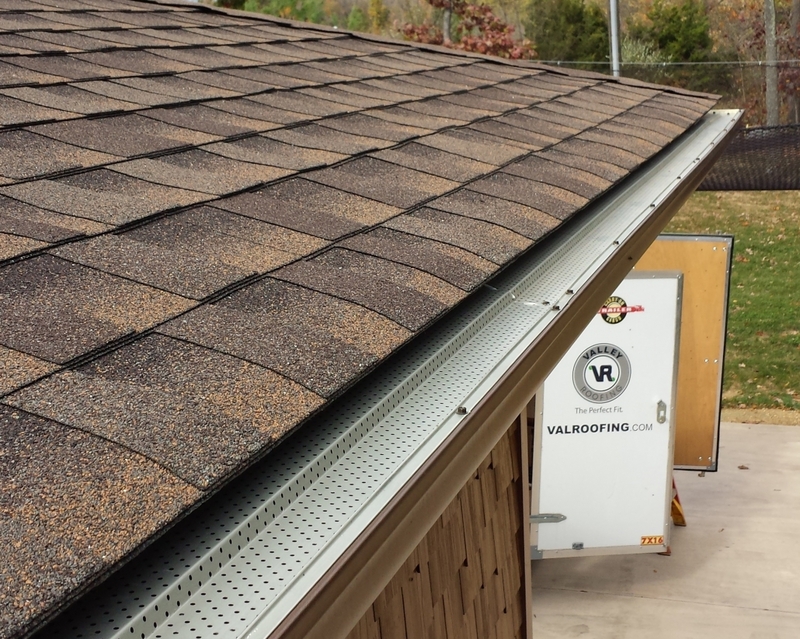 When Valley Roofing supplies and installs your gutters, you can depend on their performance no matter the weather. We offer multiple colors and designs to match the color shades and architectural character of your home. Our half-round and copper gutters add period finishing touches to your home’s roofline. Stay Off The Ladder ─ Let Gutter Guards Do The Work. 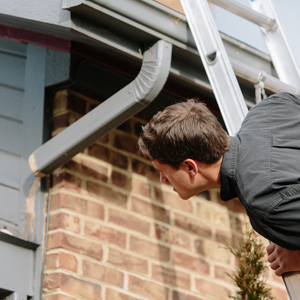 Stop climbing up a ladder every year to clean out your gutters. Valley Roofing installs a variety of gutter guard systems to keep leaves and other debris from clogging your gutter and causing water to gush over the sides. Snow Guards Protect From Snow Damage. Valley Roofing’s Gutter Division can also install snow guards on your roof to protect friends, family, and even your landscaping from injury due to snow and ice sliding off the roof. We have many different styles to choose from, and you can add attractive detail to your roof that doubles as a safety feature. Valley Roofing Understands The Importance Of Functional Gutters. After years of experience in the roofing industry, Valley Roofing understands the importance of properly installed, operational gutters. Our team of professionals inspect, maintain, and install gutters to preserve your home’s structural integrity. We understand what it takes for the roof and gutter to work together to protect your home and remove water away from your foundation We stand behind our work and our products so you find confidence in knowing your investment is safe in our hands. Contact a member of our team for your next project- you won’t be disappointed. Get a free estimate for installing gutters today!